Sydney Shop Girl: Vale, Robin Williams. Nearly Forty. For every day that we walk this earth, there will be moments of great joy but also great sadness. Milestones reached but also the daily grind that has to be gotten through to keep things ticking along. We will see things of great beauty but also ugliness. It's the cycle of life. And most of us muddle along as best we can, rolling with punches but fist pumping the magical moments. But for some, life isn't something that gets muddled through. The downs are amplified and experienced in some kind of oppressive grey technicolour. All encompassing, seemingly insurmountable and for which there seems to be only one logical and final solution. "Robin Williams made the world laugh and think... A great man, artist and friend. I will miss him beyond measure." Vale, Robin Williams. Your role in Dead Poets Society triggered in me a life long passion for language and an appreciation that it is an art form that perfectly captures every nuance of life. An alternate but just as vibrant medium as say oil on canvas or a bow bouncing across the strings of a violin. 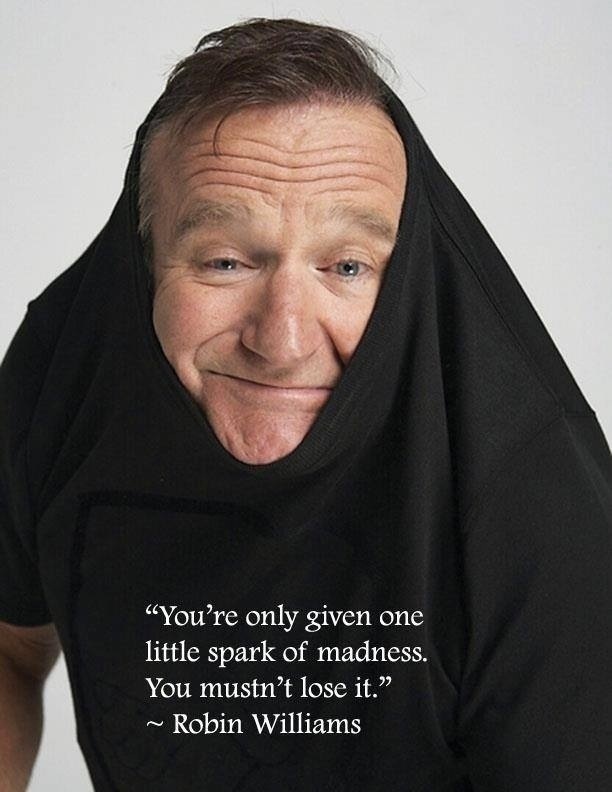 Thank you for sharing your spark of madness with us for as long as you could. After waking up to such tragic news, it didn't seem possible or right that the rest of my day could continue with joy and laughter but it did. The Festival of Leo rolled on over to my part of the world as I celebrated the start of my thirtysomething year. I'll be forty next year. How did that happen?!?! Where did all that time go? I'm still so young at heart with my deep embrace of online clothes shopping. These were some of my recent Gap / BR purchases by the way. The Roland Mouret dress fits as to the navy pin stripe trousers. I am resigned to the fact that I'll just have to buy my work clothes online for the rest of my life or on annual trips stateside. There's an upside to everything. The 'Save the Date' vaccination app, free from the App Store. I've been a mother for over 18 months. Perhaps that's where some of that time went. It was needle day for Toddler SSG today and we are all good until June 2016. Which isn't as far away as it sounds. I have a sneaking suspicion that time is going to fly by even faster now than it did before. I find myself getting a little nostalgic with the arrival of the new babies of my friends on Facebook. 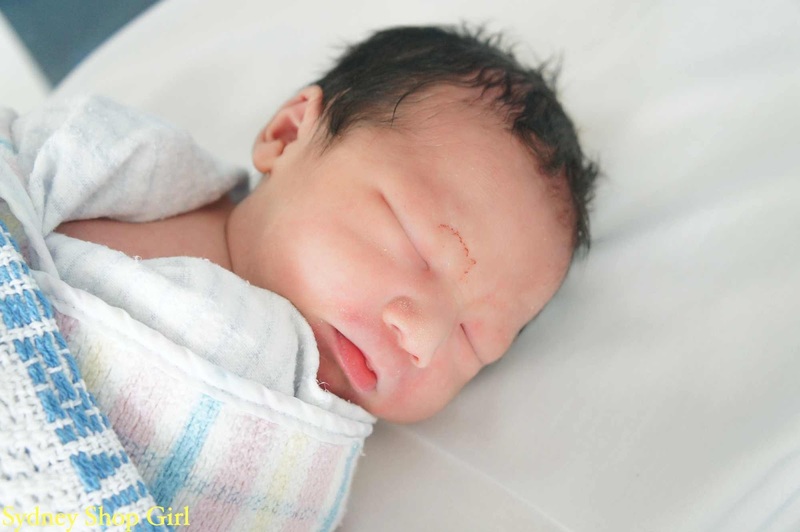 After cooing at the photos, I close the window and have a quick scroll through the Newborn SSG photo album on my phone. Outlet plugs - $4.50 from Big W.
If I am to be perfectly honest though, there have been some subtle signs of ageing. And not just in my face. These days the kind of purchases I'm excited to be rushing home to try out aren't clothes or make up but ... outlet plugs. After a crazy day at work, there's nothing more soothing than slipping into your pjs and hitting the floor to find the 24 other power points you didn't plug when you first thought you'd toddler proofed the house. Puffer vest - Next Direct, chalk - Crayola. Toddler SSG discovered colour and sidewalk chalk this weekend. Scarf - Hermes, cardi - Target, scarf ring - Mai Tai Collection. And I picked up on the theme this week with a bit of age appropriate scarfage around my neck and a sensible buttoned up cardigan. Being nearly forty isn't so bad. Hope all is well with the gorgeous Baby T! Happy Birthday dear SSG, your little poppet was a gorgeous newborn. No need for any camouflage work for you! Aww, you're too kind, dear Flora! So true what you say about depression not discriminating. Makes it harder for the people trying to support the person with depression to understand and empathise. It's going to be fun hosing down the concrete with the toddler! Thanks for the tip. Depression isn't well understood generally. Can't wait to see the Roland Mouret dress! Waiting for the weather to warm up and then I will bombard instagram with selfies. Happy Birthday SSG! The festival of Leo is soldiering on here too, it's Mr SM's on the 18th shortly. My little one is just a tad younger than your toddler. 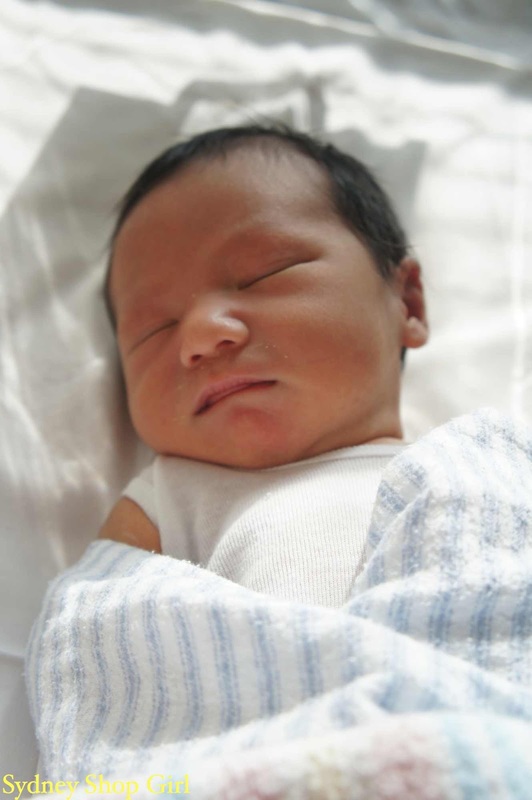 A fabulous age but yes you often reminisce when seeing newborn photos. Forty is not so bad SSG. Embrace it! Sad about legendary Mr Williams, just shows you can have it all but still have demons inside...truly shocking. Love the scarf by the way! Glad I'm not the only one who reminisces like that. I do not fear forty and agree, it will the start of a new, better and exciting decade. Happy Birthday for yesterday, remember you'r not getting older just better. I'm still so sad today about Robyn Williams death, depression is a forcible lonely thing. Happy Belated Birthday SSG! The photos of your baby bring into focus that life is a gift, and the future holds such promise. If everyone was able to feel that their life was worth living; wouldn't it be wonderful?